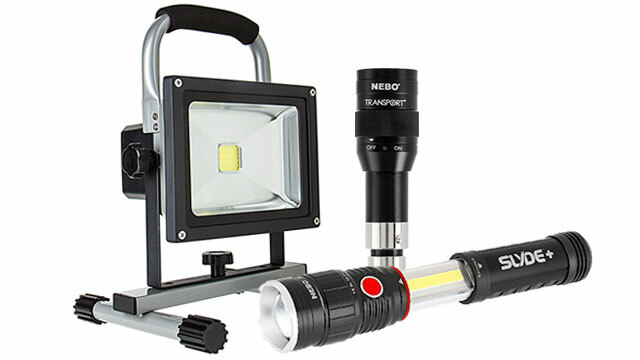 LarryC LED Work Light - NEBO Flashlight: On Showing Beam Pattern. 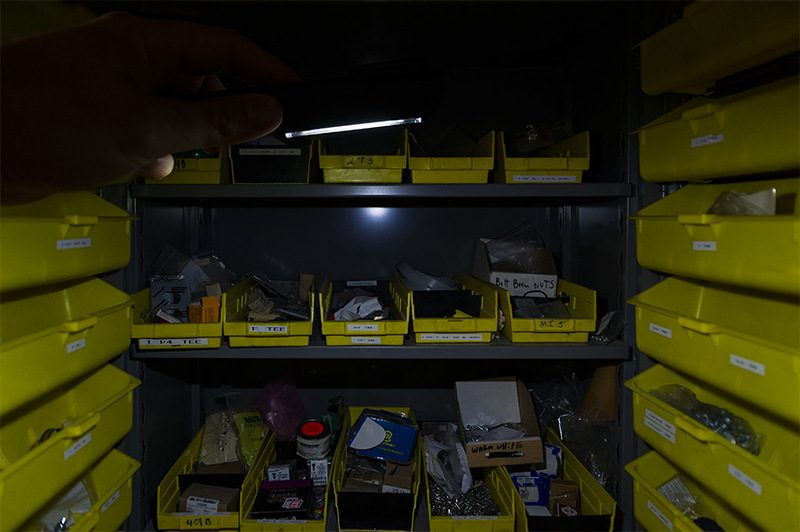 LarryC LED Work Light - NEBO Flashlight: Showing Beam Angle In Hardware Cabinet. 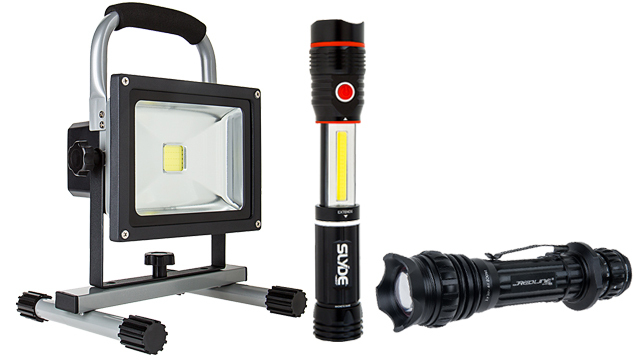 LarryC LED Work Light - NEBO Flashlight: 360° View. 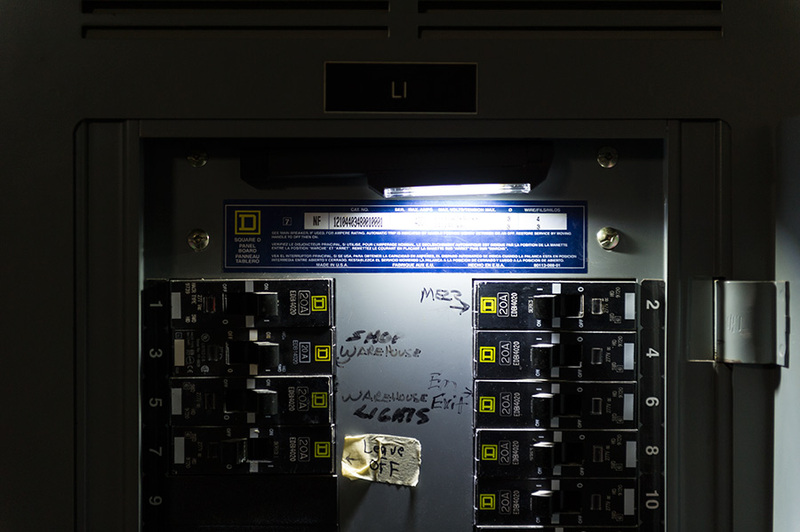 LarryC LED Work Light - NEBO Flashlight: Shown Attached To Breaker Box Via Magnetic Clasp And On. 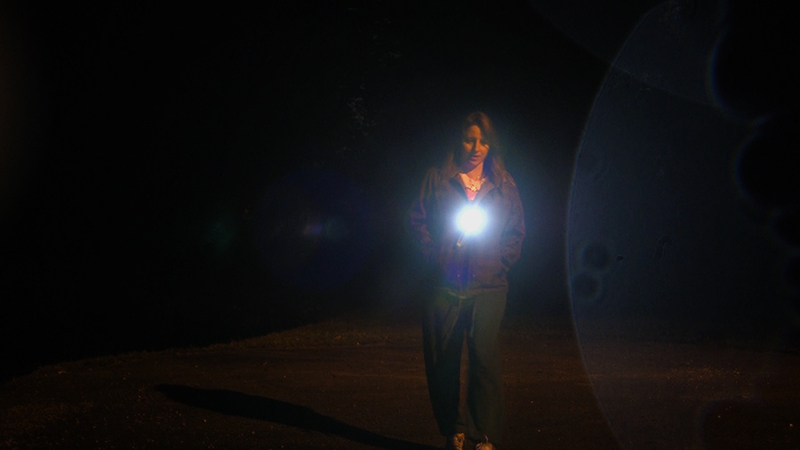 The Larry™C hands-free LED flashlight packs a punch of illumination far more powerful than its small size would suggest. 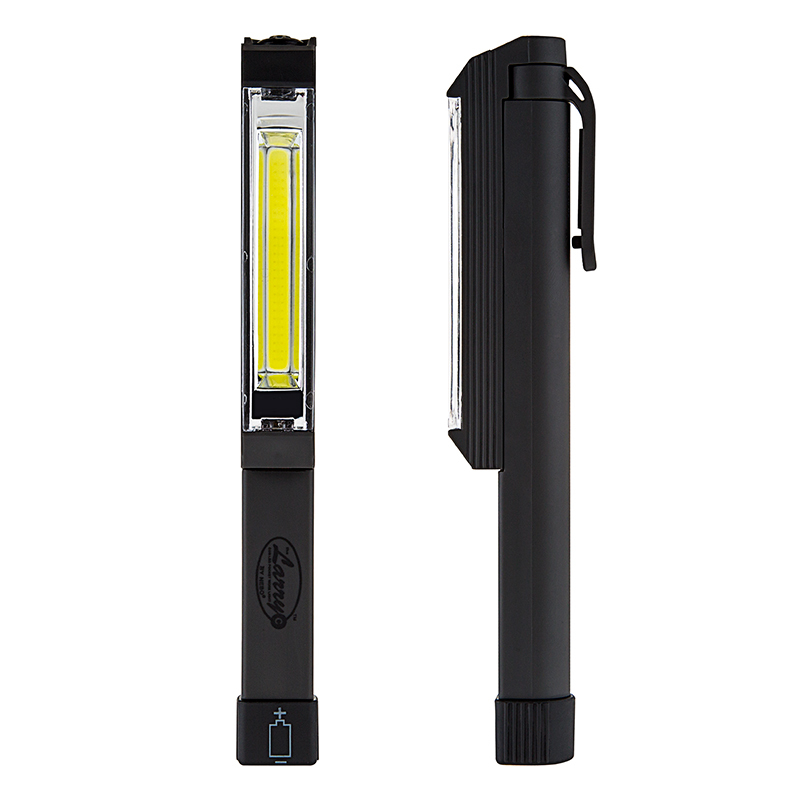 Using just 25 COB (chip-on-board) LEDs, the intense flashlight has an output of 170 lumens. 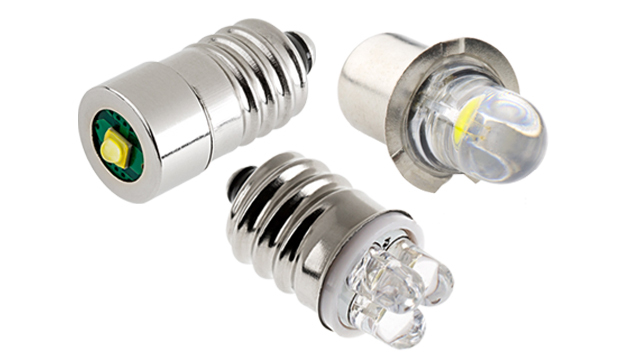 These LED chips create significantly more light than traditional LEDs while running cooler for a longer lifespan. 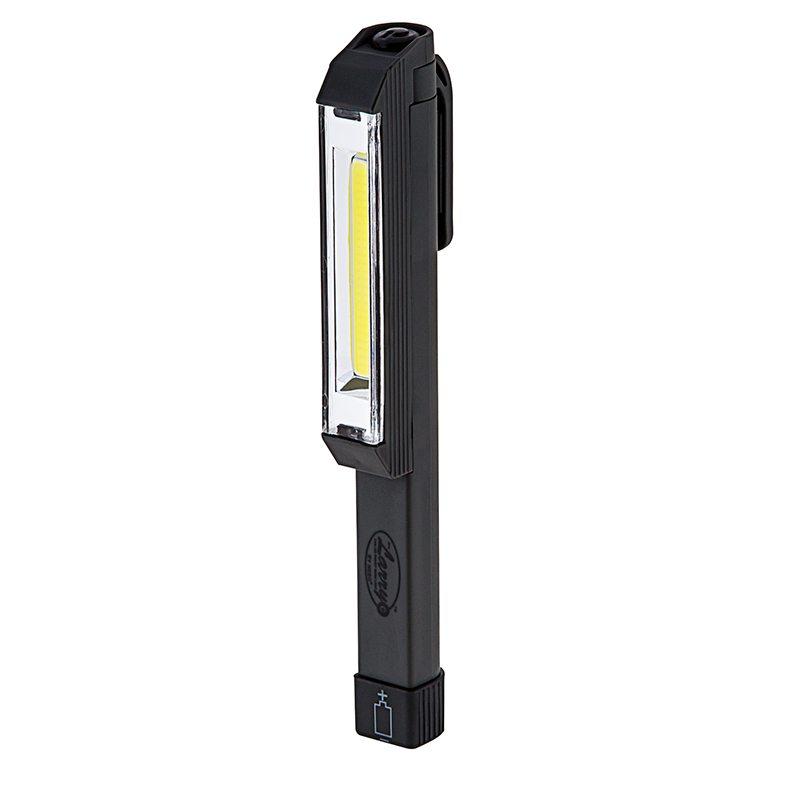 Use the 180° rotating magnetic clip to free your hands and aim light where it's needed. 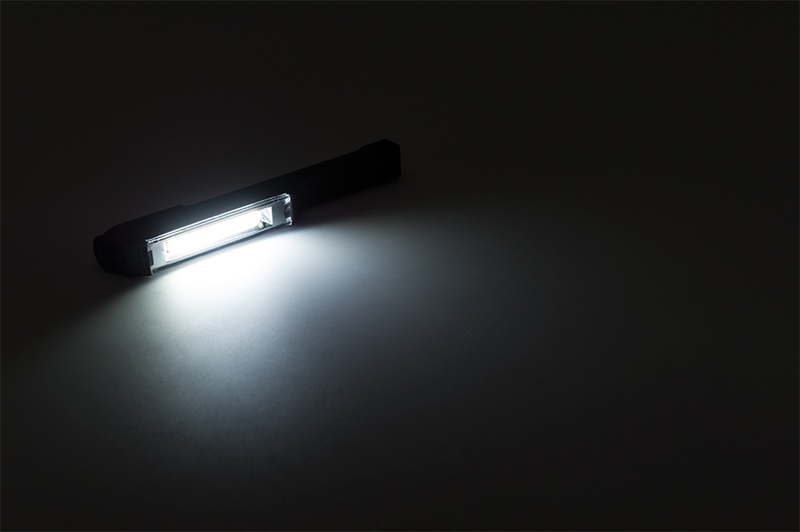 A reinforced dark grey plastic housing features a non-slip grip but is also water and impact resistant. 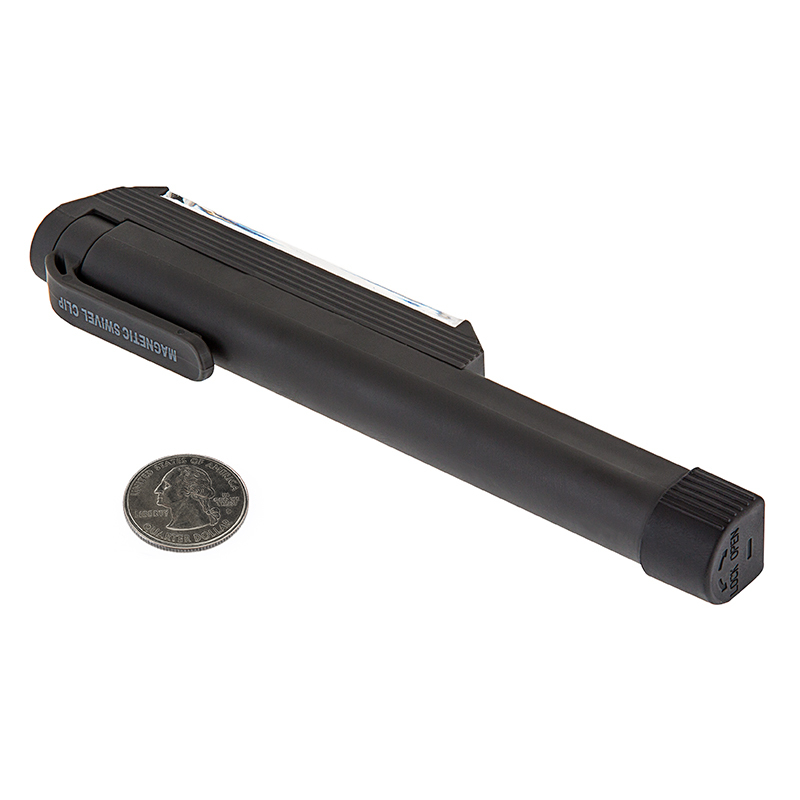 The long-lasting LarryC is designed for up to 6 hours of use and includes 3 AAA batteries.